Humla –Snowfall began in various parts of Humla this morning. The first snowfall of the year began at around 7:00 in the morning today. Meanwhile, the early than usual snowfall has made the farmers concerned, as the harvest was yet to be collected and stored. 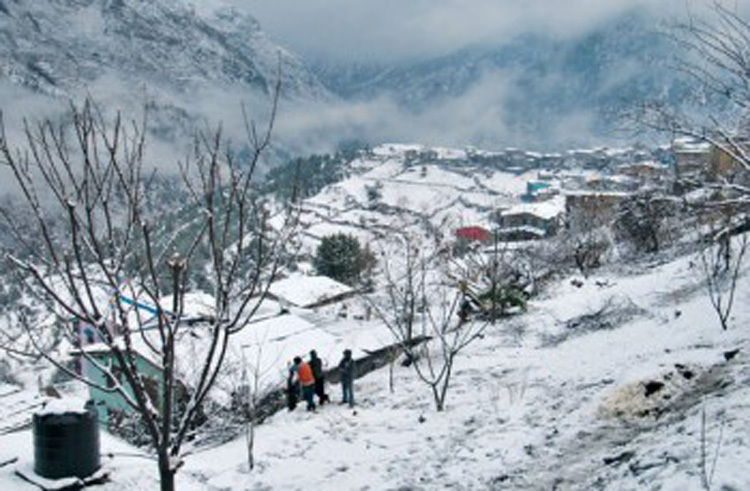 Snowfall at this point of time will also affect fruits farming, says local resident of Simikot Kamal Bhandari.